It’s important to understand what happened when you received Jesus as your Saviour. That knowledge and understanding will keep the Word that was sown in your heart from being stolen by Satan. There is more to salvation then you have ever imagined. The forgiveness of sin was not the only thing included in your salvation. From God’s perspective, it is just the beginning; a means to an end. Fellowship is the real goal. Now, become a disciple (learner and follower) of Jesus. Learn what separates Christianity from every other religion, how God sees past, present, and future sins, and much more. Living the abundant life that Jesus provided is impossible without the Holy Spirit. Before Jesus’ disciples received Him, they were weak and fearful. After receiving, each one became a powerhouse of God’s miraculous power, and that’s available to you. 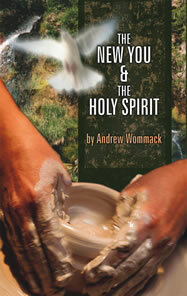 If you believe the Bible is true, then you must also believe the baptism in the Holy Spirit is God’s will for everyone. In this book, Andrew establishes the validity of speaking in tongues, talks about the many gifts that accompany it, shares other little-known benefits, and explains how to begin speaking in tongues.